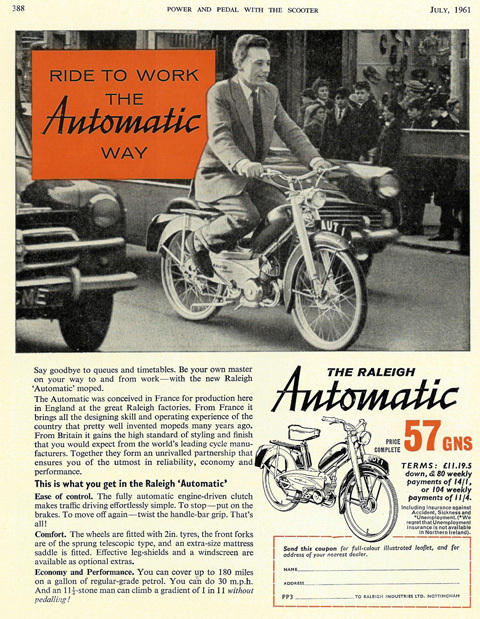 Here are a few more adverts from Power & Pedal magazine. 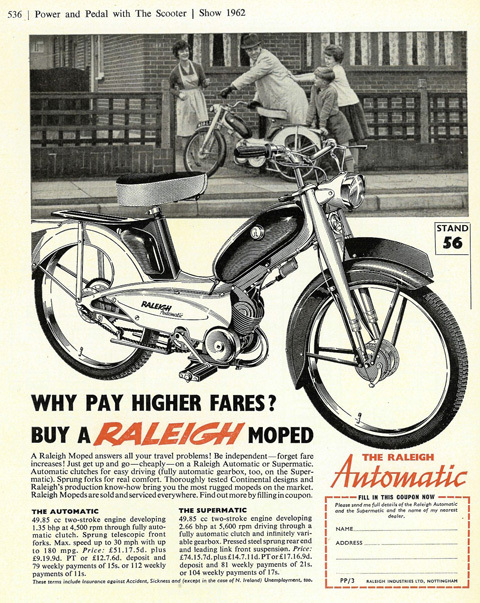 Actually they are for the earlier RM4 Raleigh moped, but I like the period scenes. I think most ebaying vintage moped enthusiasts know how I operate by now. I like to make the experience of buying a vintage vehicle as enjoyable as possible. Original literature is available to download for free from the websites.